Arrested Motion (AM): Can you tell us a little about your background?Â Any formal art training? 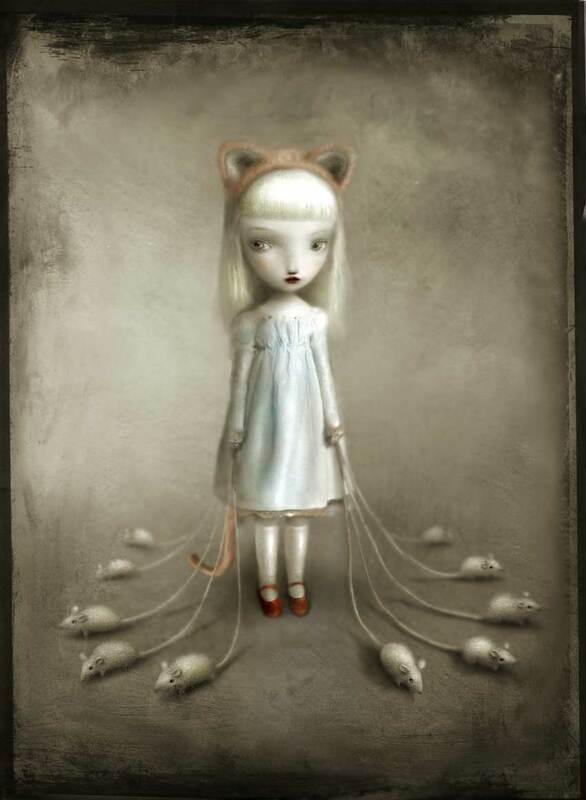 Nicoletta Ceccoli (NC): I graduated at the Institute of Art in Urbino in animation cinema. Our school was located at that time in the ducal palace, a wonderful art place itself. My training at school has been very important for me. I had very sensitive and open-minded teachers. I am still grateful to all of them. AM:Â Do you have theme for this show at Richard Goodall Gallery? NC: I prefer to work on my personal artworks without a theme previously established. For illustration work, I always have to follow one particular subject, so I would prefer to follow a free inspiration for my personal pieces…but, I see I have some reoccurring themes so together with Richard Goodall, we found this title for our show: “By the Time You Are Real” It is from a childrens tale “The Velveteen Rabbit” – about a toy rabbit that becomes alive… This is one of the “fil rouge” (editor – “common threads”) recognizable in many of my artworks and also in my last book. AM: As collectors of your paintings, we know that you also do some illustration work because you don’t have many gallery shows each year. 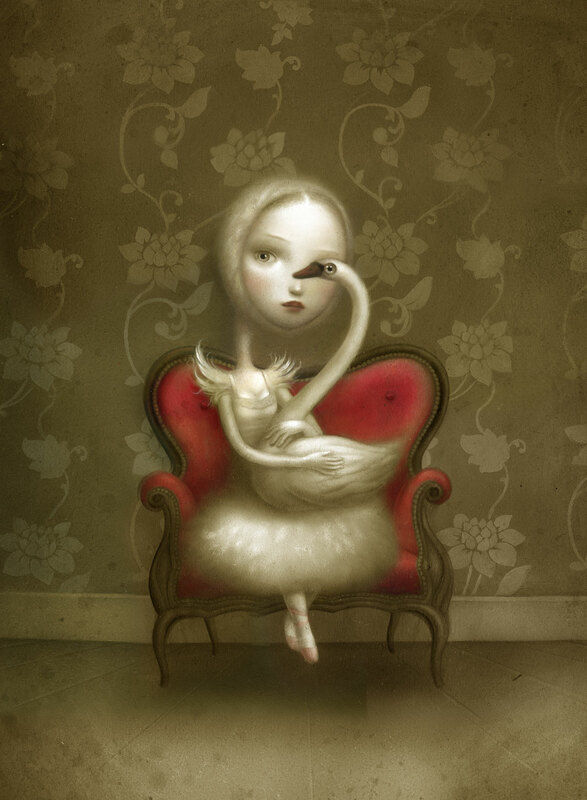 How is working on illustration different than painting for a gallery show? Any plans to focus solely as a gallery artist in the future? I think both personal art and applied illustration can enrich each others. 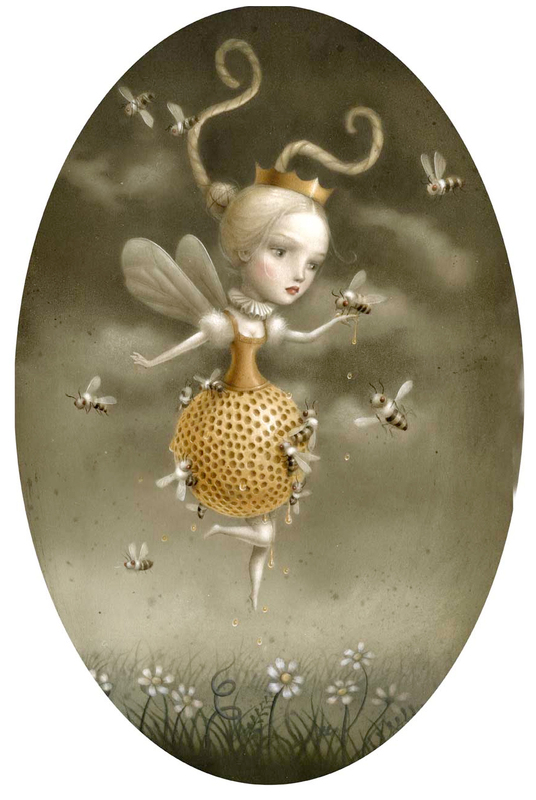 Of course, I am also very happy to work on personal artworks that are more about me – about my ghosts and dreams. When I work on gallery shows, I am happy I don’t have to worry about children as a target audience and about publisher’s advice. This is the reason why I felt the need to make these works outside the of the books market… To be free from the market! AM: We notice that you choose the titles of your paintings carefully playing with the definitions and origins of words. In these cases do you paint first or choose the title first? Can you give us an example? AM: Can you tell us about any artists that may have influenced your painting if any? AM: Do you have any hobbies that you enjoy when you are not working on your art? NC: I don’t have much time for hobbies… Drawing is my love, my hobby, my job. AM: What shows and projects can you tell us about for 2009 and beyond? NC: I am working as character designer on a 3D animation project among the other things at the moment. 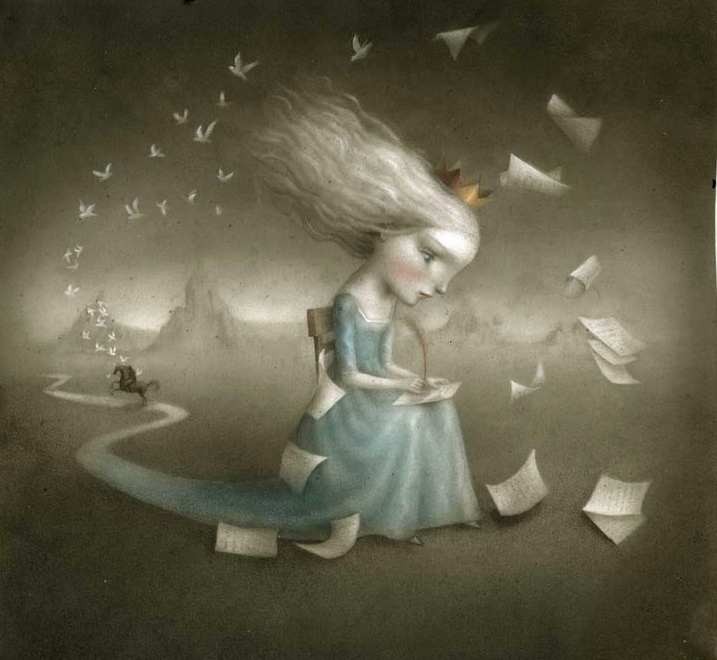 Then, I have some books I am planning to work on: “cinderella” and another one about mythological creatures. 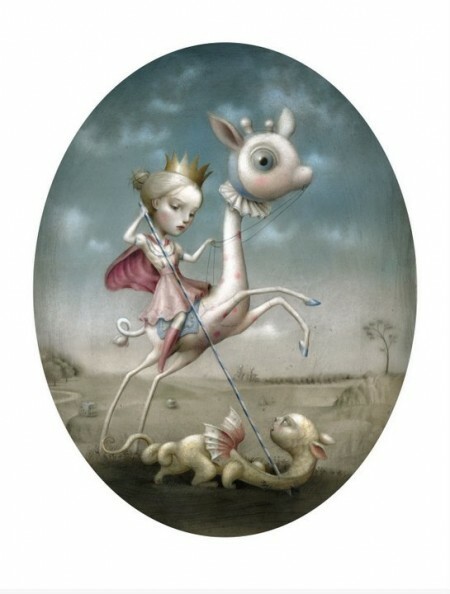 I am also scheduled for some shows in 2009 – Roq La Rue and Copronason and in 2010 – Dorothy Circus Gallery. AM: Thanks for taking time to talk to us. Good luck with your show. Categories: Art, Contemporary Art, Features, Interviews, Low Brow & Pop Surrealism, Shows & Events. 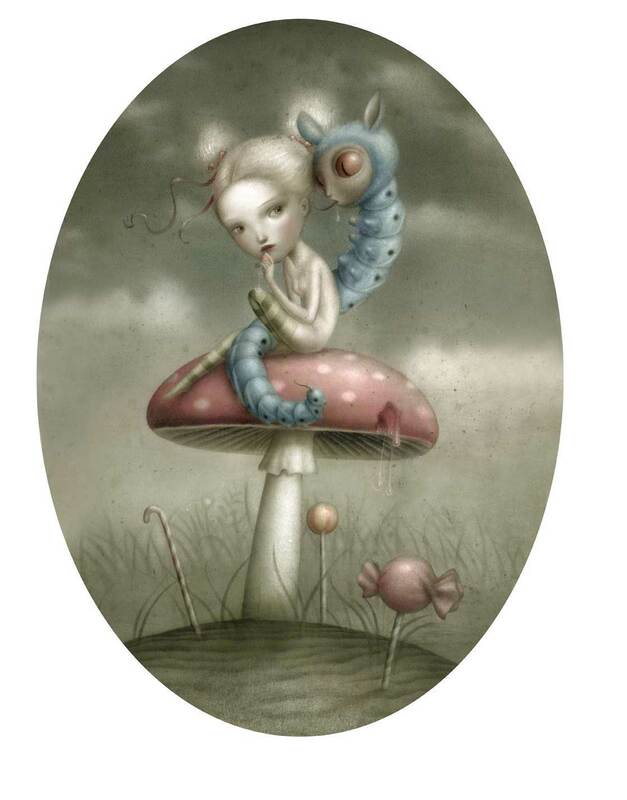 Tags: Contemporary Art, Features, Interviews, Low Brow & Pop Surrealism, Nicoletta Ceccoli, Shows & Events.